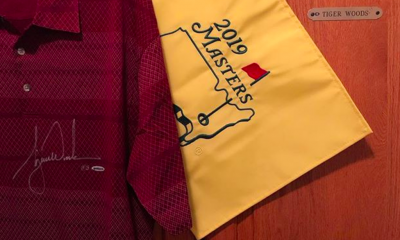 If the start of Masters week wasn’t already a big enough event to get the golf world buzzing like a swarm of bees in April, we now have more news from TaylorMade Golf and Tiger Woods. 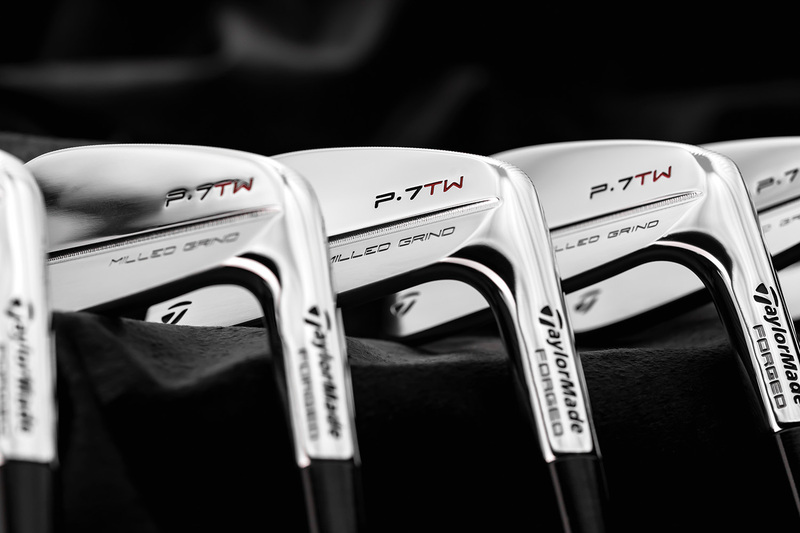 The long-rumored P7TW irons are being released in both limited edition fashion and available through custom order. 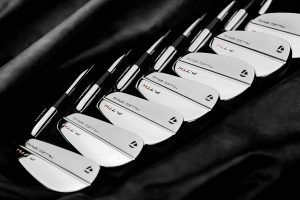 The Limited edition versions will come in a custom box designed to deliver “a premium unboxing experience… as a way that pays tribute to the heartfelt collaboration of Tiger Woods and TaylorMade Golf.” (TaylorMade’s words, not mine). 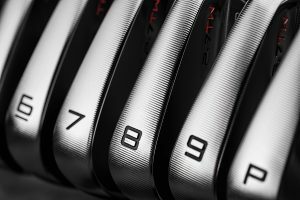 From a technology standpoint, make no mistake: these are a forged blade, but the team at TaylorMade (in collaboration with Mike Taylor, and Tiger) have done a lot to ensure every single aspect or each iron is designed to Woods’ exacting specs and the end consumer is going to experience the same club heads that the Big Cat himself uses. 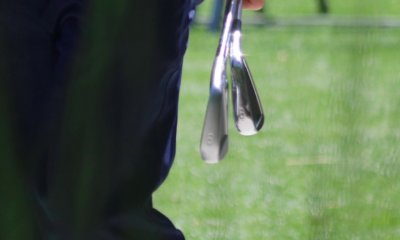 The technologies include a “hidden” tungsten weight to help concentrate mass behind the sweet spot for “a unique blend of feel, flight and control.” It has been long speculated that Tiger’s personal irons had this feature, and thanks to the full disclosure of the tech specs for the P7TWs from TaylorMade, we the consumers now know what was really behind the chrome this whole time. What is also part of what makes these distinctly TaylorMade is the Milled Grind sole, a process they have featured in the wedge line for some time now – available for the first time in an iron. Developed to ensure every head has the same grind every single time it instills confidence that for Tiger that when it comes to replacing worn clubs he’s getting the same thing club after club. SO what does this all really mean. Well first off, we finally get to see what TaylorMade and Tiger have been up to since signing their initial agreement a few years ago. 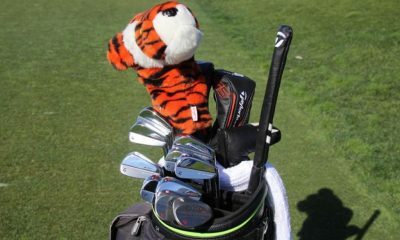 It has always been known that Tiger is extremely exacting when it comes to his gear especially his irons — which is also funny since he recently admitted to not fully understanding how adjustable drivers worked (if that’s not going full “dad mode,” don’t know what is). 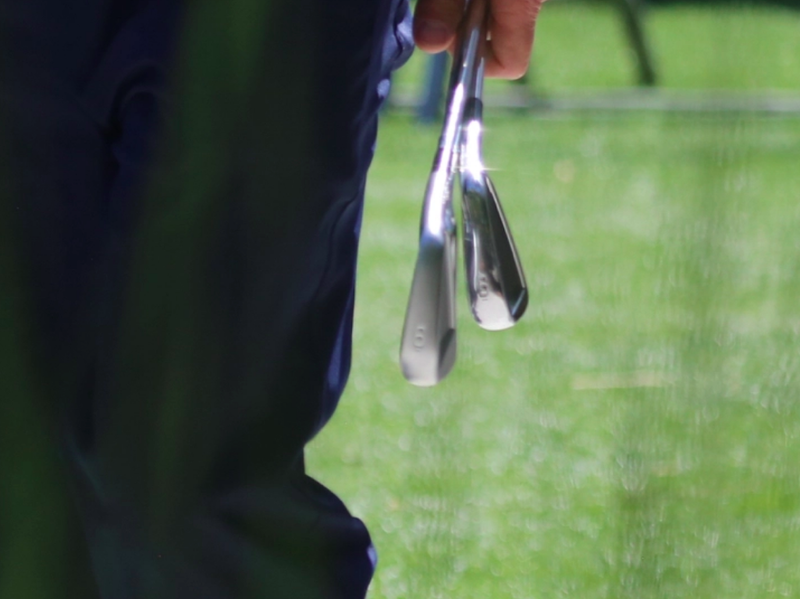 For one of the BEST iron players the game has ever seen, to work with a company to create a special set of tools to exacting specs — and then have those available to the general consumer is not something we see everyday. Although I don’t lack for iron sets or blades for that matter (8 sets and growing), this is another one of those sets for some reason I just want. 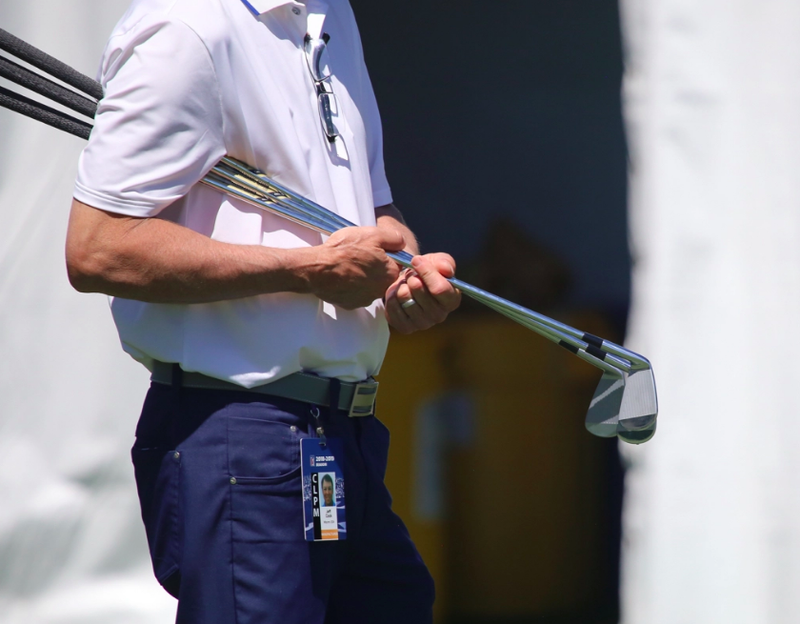 I know, I know — I could hit sandy range balls for a decade and never get through all of my iron inventory but it’s NOT about that — it’s about being able to see and feel the same clubs Tiger uses in your bag and know that without a doubt you have something special. 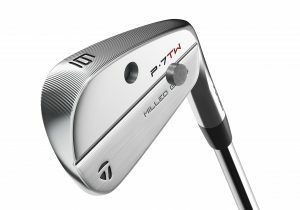 Available for preorder starting today and available commercially beginning May 1, the P7TW ($1,999.99 USD) will be offered in 3-PW (RH only) and come equipped with True Temper Dynamic Gold S400 Tour Issue shafts and Golf Pride’s Tour Velvet Cord grips. 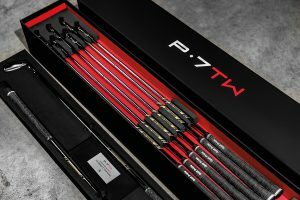 The P7TW will also be available through TaylorMade’s custom program, allowing for numerous additional custom shaft and grip options. Ryan Barath is a writer & the Digital Content Creation Lead for GolfWRX. 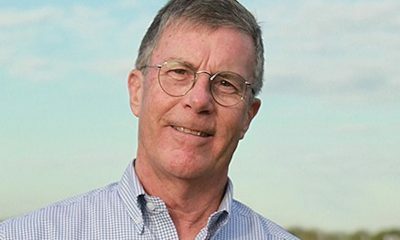 He also hosts the "On Spec" Podcast on GolfWRX Radio discussing everything golf, including gear, technology, fitting, and course architecture. 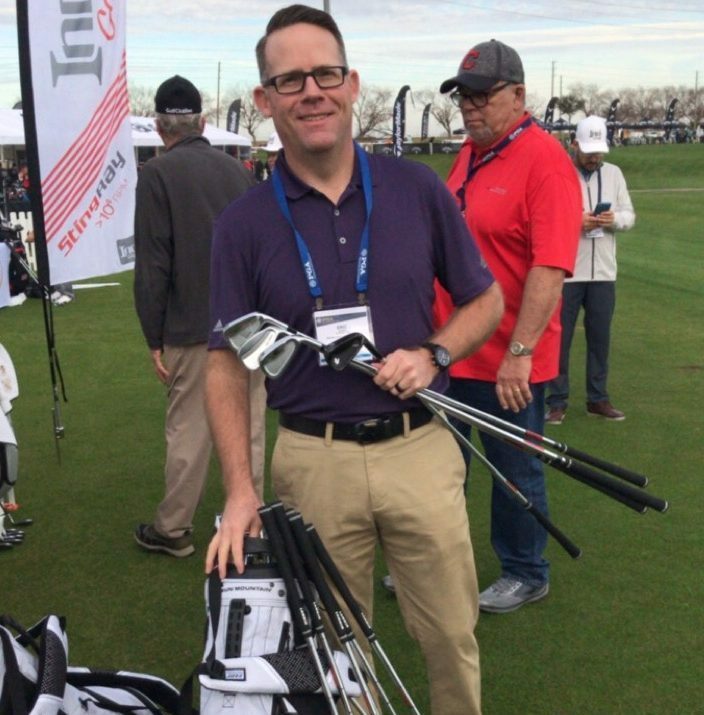 He is a club fitter & master club builder who has more than 16 years experience working with golfers of all skill levels, including PGA Tour professionals. 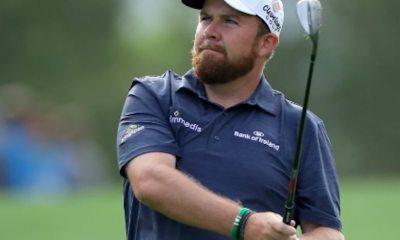 He studied business and marketing at the Mohawk College in Hamilton, Ontario, Canada, and is the former Build Shop Manager & Social Media Coordinator for Modern Golf. He now works independently from his home shop in Hamilton and is a member of advisory panels to a select number of golf equipment manufacturers, including True Temper. 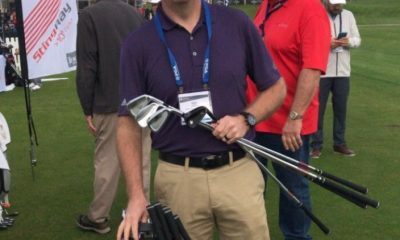 You can find Ryan on Twitter and Instagram where he's always willing to chat golf, from course architecture to physics, and share his passion for club building, and wedge grinding. They keep saying they’re limited editions but I can’t find anywhere that says how many sets are being made and offered for sale. If they flood the market they won’t be worth much in the future. WHY ARE THE LOFTS NOT TO TIGER’S SPEC???? There are options to spec them like Tiger’s. Hurry, hurry, run as fast as you can to your local club store. I am sure you will be much better by buying these beauties. After all, you accomplish 2 things. One is you have the same Irons Tiger has, at least for now, and you will be out 1200 Bucks. Be the first kid on your block to have them, yowsa. Hurry before they are all gone. It has a hole in it’s head!! That’s ironic! Kind’a what Eldrick must’a felt like when it all came crashing to the deck! I’ll just keep my old Nike VR Pro Blades and wedges for now and pretend. Sorry to everyone like myself who purchased the VR Pro blades guess they weren’t legit like the Tmags. ???? I didn’t say that the Nikes didn’t perform well. They actually performed beautifully and had great feel. Mine just got worn down and Nike was on to the Vapors at that point so I couldn’t get another set of the VR Pro blades. $1200 irons with an $800 upcharge because of box/tw attachment. I’ll wait. I’ll bet the 8,9 and PW are to die for. I would love to look down an 8 iron! How is the tungsten weight hidden? In the chroming process I would imagine. I cant see a thing except a beautiful muscle back. And yes, X100’s are Tigers flavor and they are in the limited edition version. 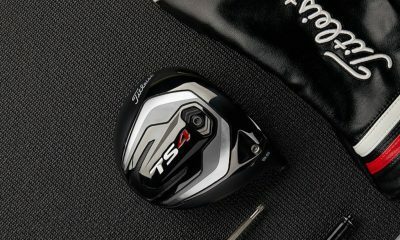 It’s 2019, and TaylorMade admits it. Only TM would put RH ONLY, custom, and numerous in the same ad. 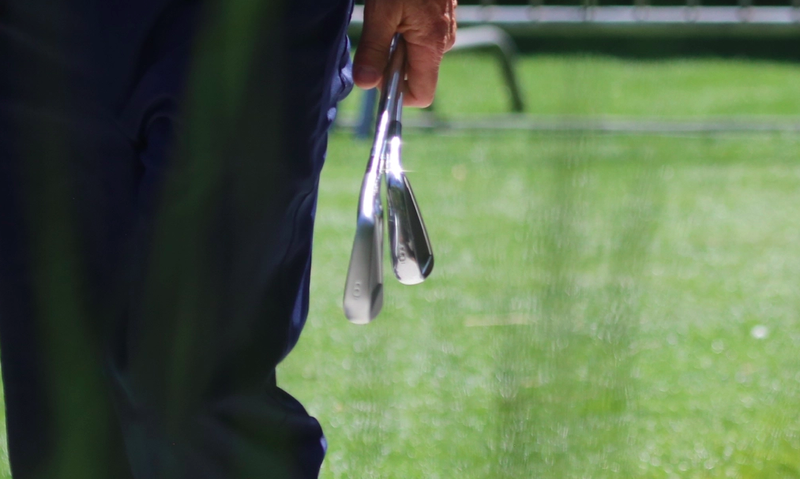 I’m confused — these are built to Tiger’s exacting specs, but they come with S400 shafts. 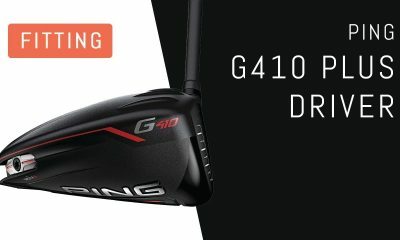 Does Tiger actually S400 shafts and not X100 shafts? I would hope these are assembled in a different part of TaylorMades irons assembly plant. Because the Quality Control coming out for their general irons like P760 and 790 are abhorrent, twisted grips, ferrule loose. 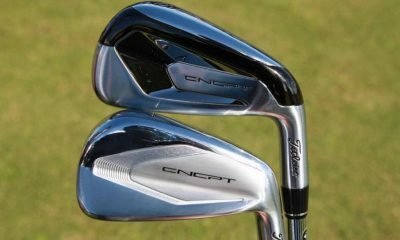 I saw 2 different sets of the same retail spec, of 760 irons and they were a quarter inch or more different in length. They need to reveal where they were forged. I called, they won’t disclose. I agree on the forging location. For $2K, they better be butter and from a mega quality forging factory in Japan like Endo. I called to confirm and was told they were forged in the fired of Mount Doom, thus justifying the cost. And like the one ring, these blades answer to Tiger alone and can have no other master…lol. 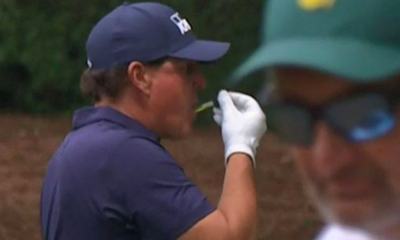 It’s a phrase I’ve heard many times before, not just with the golf industry but in other industries that are, let’s call them — leisure or sports-focused. 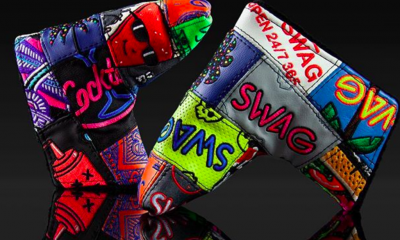 It’s an uphill climb to enter any market, but golf might be on another level. 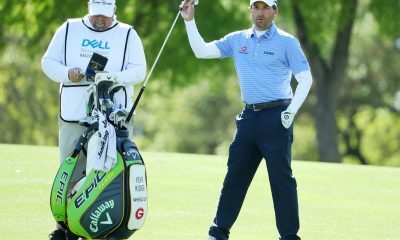 There are the big players that are worth BILLIONS, and spend millions of dollars in research and development, along with equal amounts marketing, to make sure that every golfer is aware of their new club technologies. They also have well-oiled systems of distribution. 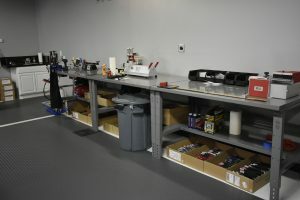 But in this new world of brand-agnostic fitting centers, boutique brands, social media, and the ability to reach your target demographic like never before there are a LOT of new companies creating high performance, high quality, well-engineered products. But when it comes to forged irons for golfers of all abilities, industry veteran Eric Burch’s New Level Golf stands on its own. 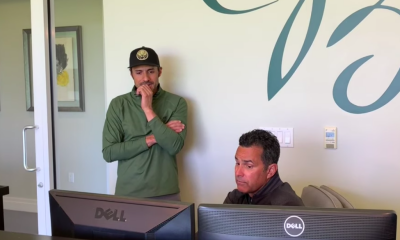 If you don’t know Eric Burch, and you’ve gone through a custom fitting recently, then you are at least partially aware of some of the breakthroughs he’s helped create in the golf industry, including the Club Conex system. 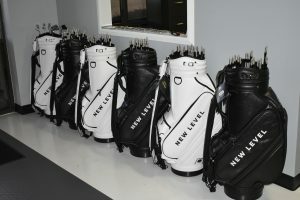 His newest endeavor New Level Golf was only started in 2017, but in that short time, it has made some very big strides including distribution in over 150 brand agnostic club fitting facilities and now some professional golfers signed to the roster (including PGA Tour winner Ken Duke). So how do you go from designing club fitting components to designing forged irons and starting a company that has products on the Golf Digest Hot List? 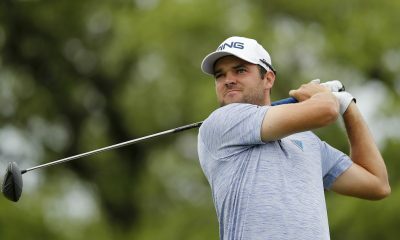 I got the chance to talk to Eric about New Level Golf, his background and how after his years in the golf industry he wouldn’t want to be anywhere else. RB: Based on your history in the golf industry you seem to be a real problem solver with a “Be your own boss” mentality, is that how you would describe your self? EB: I’ve been in business for myself since my early 20s. 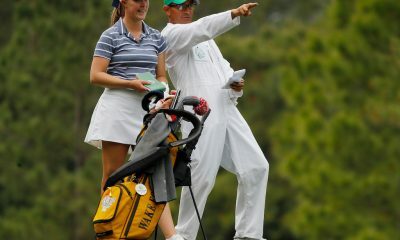 Other than a few short stints for other golf companies, I have primarily been my own boss involved with golf. I would consider myself a problem solver. Not necessarily by design, but mainly due to starting companies that have always been undercapitalized which forces your hand to learn a variety of tasks to help the business move forward. Although I’ve received notoriety as a club fitter/retailer, Club Conex, and now New Level. I’ve been fortunate to have won the professional Clubmaker’s Top Shop Award (2004), Golf Digest Top 100 Club Fitters (2016), & have products I’ve designed be on the Golf Digest Hot List (2019). RB: What was the first product & club head you ever designed, and how does the workflow go now with New Level? EB: The first golf products were, of course, the Club Conex prototypes and those were generated from hand-rendered sketches. I still believe, given what I did with Club Conex and the universal system I designed, I hardly get the credit I deserve. I bought a milling machine without really knowing how to use it and over the course of 6-7 months taught myself how to use it and started creating prototypes. Those prototypes eventually became the Uni-Fit system. The first clubs I ever designed were putters dating back to the mid 2000s, but in terms of New Level, I know what I am trying to accomplish in design as well as fitting into player categories that comes from my years working at my own shop and fitting golfers from professionals to higher handicaps. Since product is made overseas, the engineers I work with at our factory have done a very good job of helping bring my concepts and designs to fruition. I really enjoy doing the designs and creating something that will one day be in someone’s golf bag. The only current issue with the success we’re seeing now is if the company continues to push forward we will at some point be forced to bring on an industrial design engineer to further help with product development, but that would be in 2021 as most of our products for next year are in development, or have already been developed. RB: On that note, how long from having an initial concept to that first set of irons or at least a prototype head in hand? EB: This is heavily dependant on the complexity of the design. The 4995 HB took almost 9 months to get it where we wanted, whereas the 902 took just about four months. Typically we can get a first article sample of a playable sample in less than 60 days. RB: When you consider the logistics and tooling involved, that’s quite an impressive turnaround time. From a design perspective, what do you think is the most misunderstood part of creating an iron head and the manufacturing process that you face? EB: This is a hot topic with me since most people just don’t understand the depth of the manufacturing process. A lot of people think of the term open model (a factory’s in house design produced to create a starting point for some companies), they think we are just stamping our name on a head that is already been refined and finished by someone else which couldn’t be further from the truth. Like with many aspects of club designs some of the tooling we use are openly available, but for example the raw forged blank head is on average 407 grams on a 6 iron that needs to be designed into a profile that weighs just 262 grams. So as you can imagine a club head overweight by more that 35 percent, it’s far from being a finished product. We call all the shots when it comes to every pertinent parameter and specifications of our design. The only thing incorporated into using this process and something we can’t change is the offset of the club. All other facets of the design are facilitated by my directive and incorporated into the final design. I chose this method of manufacturing for New Level because it allows a far more flexible range of experimentation before a final design is consummated and brought to market. As a new company starting out it would have been near impossible to use a process similar to other OEMs that create a final tool for each and every design solely based on scale. We had several designs that were not used because they didn’t make the cut when it comes to performance and if we had gone the other route we would have had hundreds of thousands of dollars in tooling alone from products that never saw the light of day. This process is called the “near net” process, and I find it to be much more in tune with today’s industry. I will take it one step further by saying regardless how good one may be at hand grinding and polishing, a human will never be as consistent and effective as a CNC machine. This entire process allows us to keep our costs reasonable and offer a…uniquely designed, full one-piece forged club for a fair price. There are a lot of other companies using this process you’d just never suspect it. RB: As a club builder and fitter myself, I have encountered my fair share of misconceptions from golfers, what do YOU feel is the number one thing golfer misunderstand from a design perspective of their clubs? 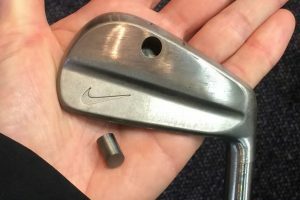 EB: I can only speak from my experiences, but most golfers are scared of the word “forged” as it has been far too long associated with blades and hard to hit designs. I believe the average weekend warrior still views forged as a design methodology as opposed to a manufacturing process. That is a major objective for New Level to prove that forged clubs can be forgiving, can produce great ball speed, & can be used by your average mid handicap player. Our 1126, for example, is longer from heel to toe, has a shallow profile, and deep undercut – lots of forgiveness for any level of player. From a fitting perspective, I’d say that over 80 percent of players are using shafts that are too heavy, and too stiff for them. RB: We’ve talked a lot about the product, and now I need to know – How many retail outlets currently carry your irons and wedges. And lastly, what advantage do you believe New Level irons and wedges have over the competition? EB: New Level products can be found at roughly 150 locations worldwide and growing almost weekly. If I had my way, we’d never sell another club off the website since I truly believe getting fit by a professional is the best way to get the right set, but saying that as the brand is growing and during the infancy stages, I am trying to get as much product in the field of play as possible to spread brand awareness. We get positive feedback on a daily basis. We have an extensive questionnaire on our site to help those that are not close to one of our retailers, and we also have a lot of people that see our clubs, like what they see and order to their known specs. As far as our advantages go, I believe it’s pretty simple — being small allows us to pay more attention to each and every client and ensure they are getting the attention that they deserve. The mentality is always to be big enough to make money, yet no matter how we grow, act small and care about every single customer. Currently, we have the care part down very well. My belief is with any business I’ve ever been involved with is that if you do the right thing and stay focused eventually the money will take care of itself. It’s funny because I experience many of the same challenges with New Level as I did with Club Conex early on. 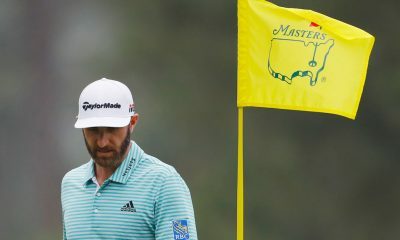 Although I am mixed in with a ton of larger players in the golf industry, with New Level I am starting to see our awareness with golfers grow. I hope that this growth continues and we still maintain a great rapport with our customer base. If you are interested in New Level products check out their website, or call and check with your local club fitter for availability. 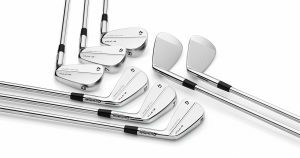 Today’s Forum Thread of the Day showcases new irons that are on the way from Mizuno. Reportedly two years away from being released, but that hasn’t stopped our members from discussing and speculating on the new irons from the Japanese manufacturers. Here are a few posts from the thread, but make sure to check out the entire discussion and have your say at the link below. 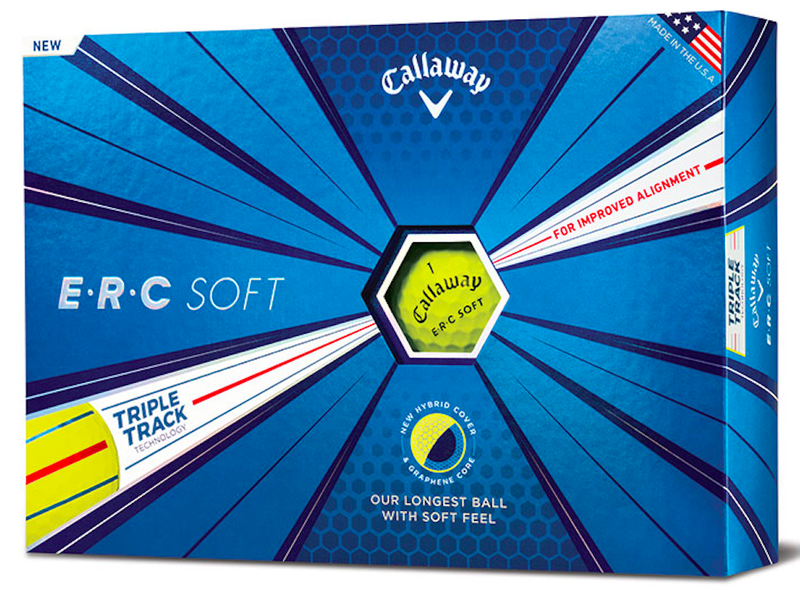 Callaway Golf has today announced its ERC Soft Yellow golf ball is part of a new program: Play Yellow. 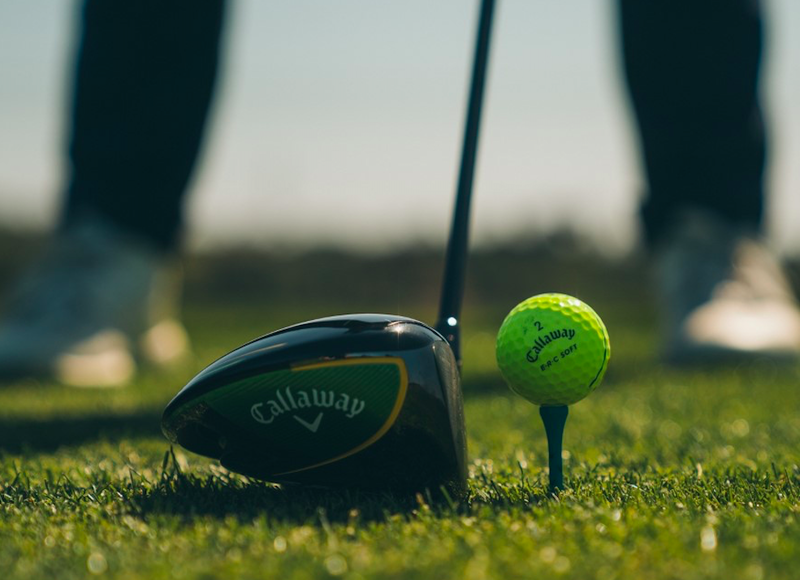 The Play Yellow campaign is an initiative from Callaway where the company will donate $4 for every dozen ball pack sold of their ERC Soft Yellow golf balls in support of Children’s Miracle Hospital Network (from today until the end of May). As a recap, the ERC golf ball from Callaway features their Hybrid cover which is designed to create a combination of faster ball speeds for longer distance, softer feel, and higher spin for excellent control around the green. 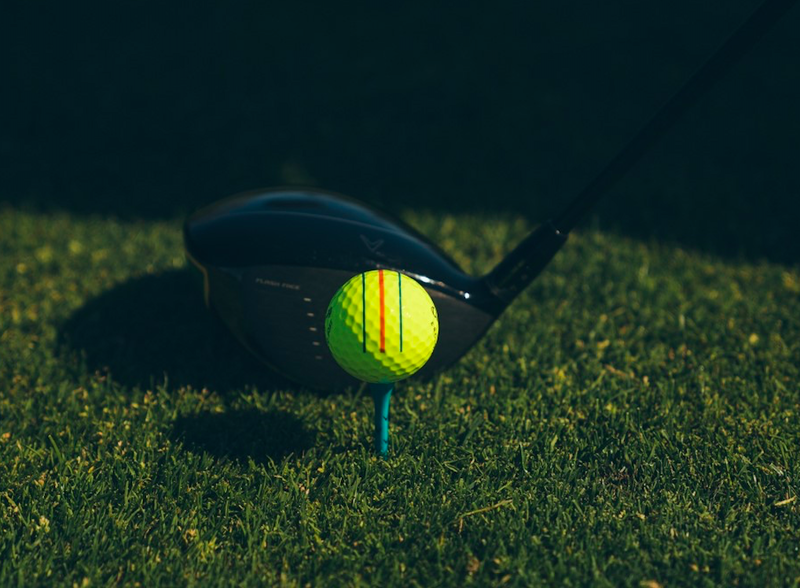 The ball contains a Graphene-infused Dual SoftFast Core which through a larger inner core seeks to maximize compression energy while minimizing driver-spin for high launch and greater distance. The balls also include Triple Track lines for improved alignment. 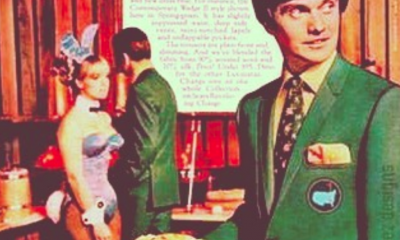 What make cult golf clubs so great?